A frosted bowl of garlic butter. On my way home from watching the glorious Vikings’ victory over the Lions, my mind was on the beef stew simmering away in the slow cooker on the counter at home. My Saturday idleness meant that I didn’t experiment with baking bread as I had planned–so I picked-up a loaf from a neighborhood bakery on my walk from the train. There was just one thing missing: butter. I had butter in the fridge, but I wanted something more. I wanted garlic butter. If you have a mortar and pestle, give the fresh garlic a course dice and mash until you have paste. (If you don’t have a mortar and pestle, dice finely and use the side of a knife to smash out a garlic paste.) Combine the butter and garlic in a small bowl and microwave for 20 seconds until mostly liquefied Stir/mash the warm butter garlic mixture. Set in the freezer for 10 minutes if you want it to harden quickly or place in the fridge until ready to serve. Vampires beware! Here there be garlic buttered bread that goes great with stew! The microwaving step is key if you want to cut down on the harsh raw garlic flavor. Good call Arty. I also like to add some greenery to garlic butter, usually parsley and chives. I’m not sure if I can really taste the difference, but it definitely adds to the aesthetic appeal of the garlic bread. I microwaving was so short, I think the mellowing of the garlic flavor was relatively de minimis. 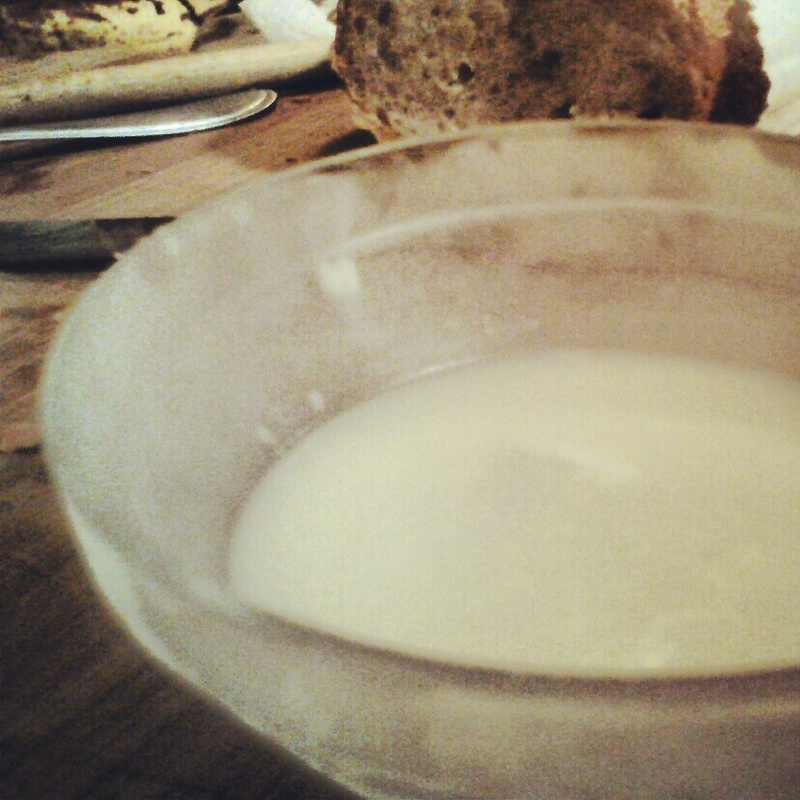 It really just got the butter to liquefy so it would look nice and pretty in the bowl when it hardened. I like the idea of green in the butter. Have you tried finely diced green onion? Sounds like the making of a great first date meal. Haha.